Body lotions are an important product in your skin care regimen and they should never be ignored. 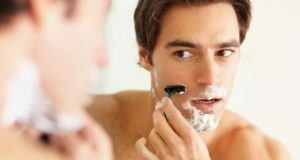 We have compiled this list of the best body lotions for men with skin whitening properties. Fairness body lotions contain the ingredients that can whiten your skin and brighten the skin complexion. We apply so many creams and lotions on the face but often neglect our body skin that is why application of a good fairness body lotion can help to minimize the sun tanning. A good body lotion gives you hydrated smooth and dewy skin. 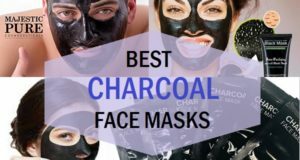 In addition to that, it can also help improve your dark and dull skin tone of the body skin. 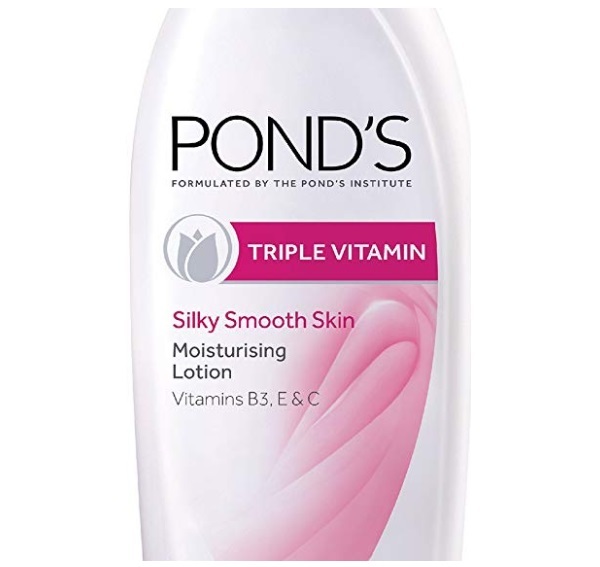 The triple vitamin moisturizing body lotion is from Pond’s which is a well-known brand. This lotion consists of vitamin B3, Vitamin E and Vitamin C. It keeps your skin revitalized and moisturized. It gives fairness and smoothness to the dull skin. 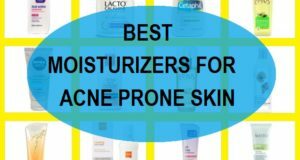 This can be used in summers and winters for dry to normal skin. 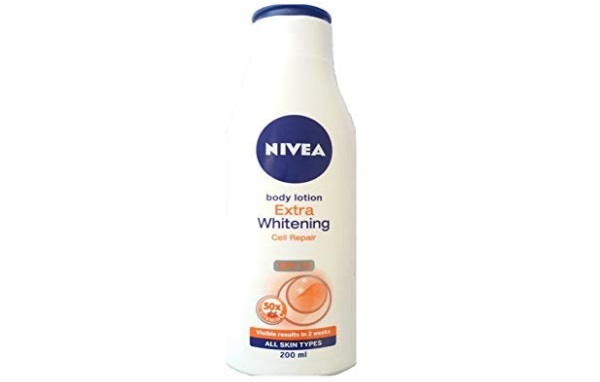 This Nivea body lotion is the extra whitening cell repair fairness body lotion that men and women can try. It is paraben-free, Mineral oil free and bleach-free body lotion. It consists of Vitamin C in the form of Camu camu fruit extracts and Acerola Cherry which improves skin tone. It has very high amount of Vitamin C that repairs the dull and damaged skin. When applied regularly it reduces the dark spots, uneven skin tone and rough skin. 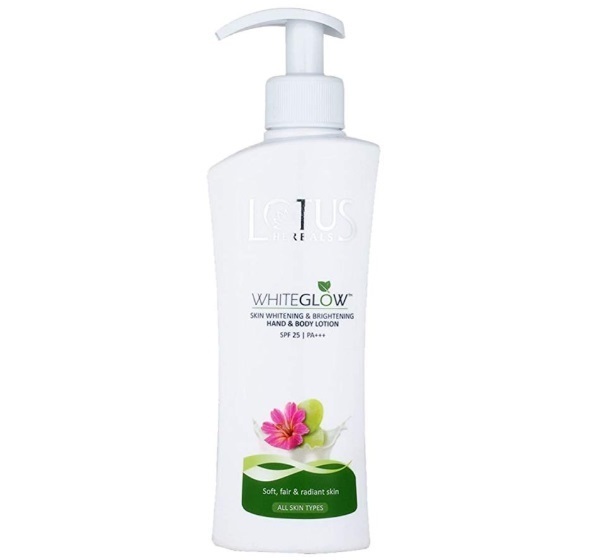 Lotus Herbals whiteglow skin whitening body lotion is a multipurpose product that can be applied as a hand and foot lotion. It has SPF 25 which means you can use it during the daytime as well to protect the skin from sun tanning and UV rays. You just have to apply this everyday and it lightens the skin tone by minimizing the skin pigmentation. This lotion whitens your skin by reducing dark spots as well. 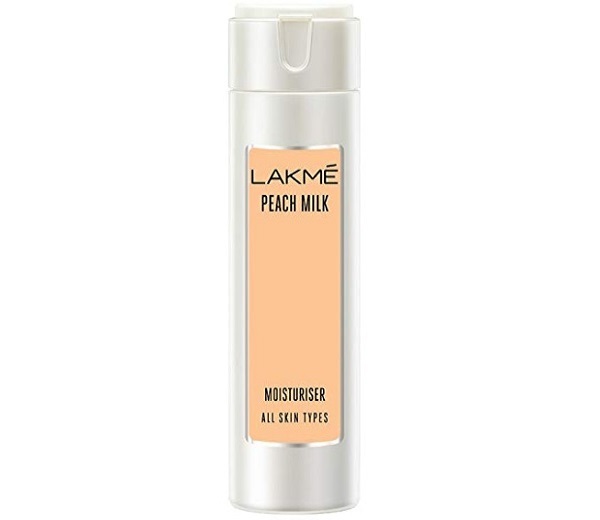 Lakme peach milk moisturizer body lotion is ideal for every season and for everyone. This light moisturizer body lotion is rich in peaches and milk which enhance is your skin texture and tone. It can also be used as a face lotion and as a body lotion. This fairness peach milk moisturizer lotion is lightweight and does not make the skin oily. 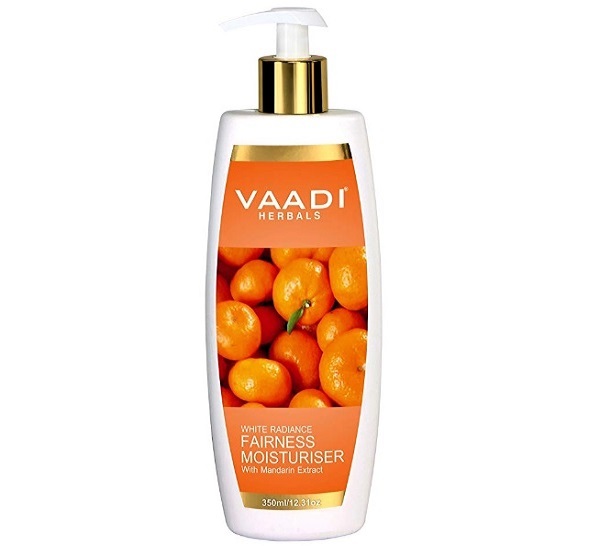 Vaadi Herbals fairness moisturizer is made to whiten your skin with its high amount of Vitamin C. It consists of the extracts of Mandarin Orange. It controls the production of melanin and lightens the skin tone. The moisturizer has a double action that whitens skin tone and also deeply moisturizers it. 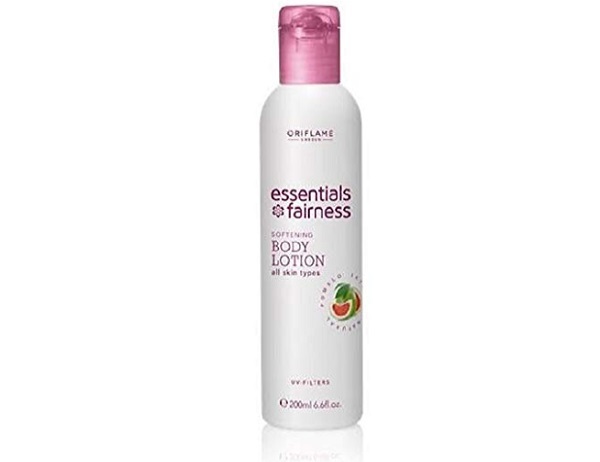 The Oriflame fairness body lotion comes with SPF that blocks the harmful sun rays. It consists of multivitamins Complex that moisturizes your skin and makes it fair. It also has UV filters that do not let the harmful effects of sun rays damage your skin. 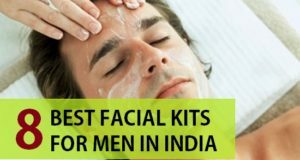 It is suitable for daily use for men as well. 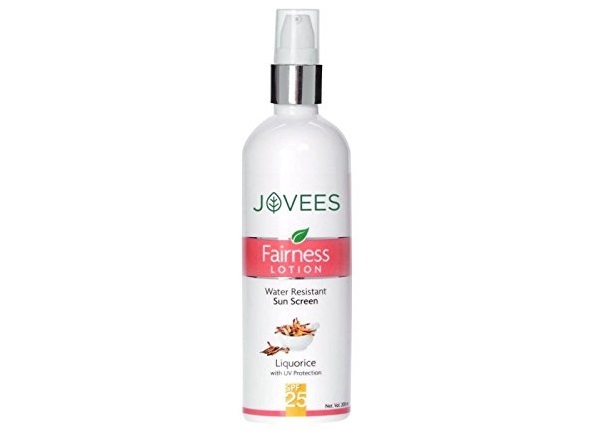 The water resistant fairness body lotion is from Jovees. 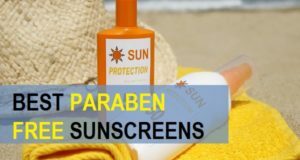 The waterproof sunscreen lotion is made using the liqorice extracts, carrot, chamomile, Aloe Vera, Sandalwood along with other herbal extracts that improvises skin tone and also repairs the damage of the skin. This can be applied all over the face neck and body. It’s a lightweight moisturizer which is also recommended for oily skin. Oshea herbal fairness body lotion is rich in Mulberry extracts, licorice and other herbal extracts. It improvise is your skin tone by decreasing the melanin pigment and reducing the sun tanning. Aloe vera extract in this body lotion hydrate your skin and maintains optimum moisture level. It is also rich in vitamin E that fights antioxidants free radicals and improves the skin smoothness. The fairness body lotion is very affordable and suitable for everyone in your family. 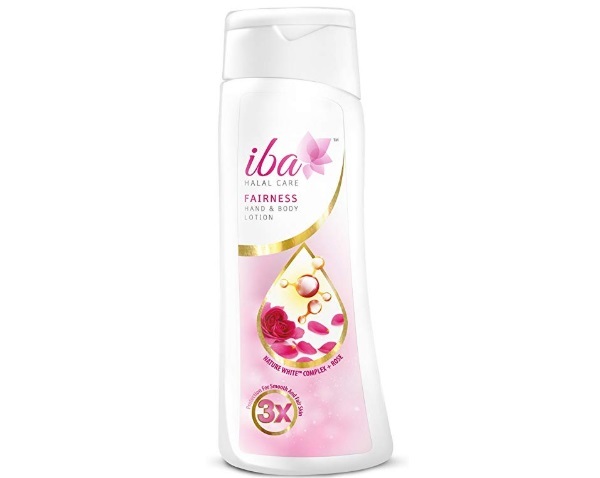 IBA fairness and body lotion has white TM Complex and triple sunscreens. It blocks the UV rays and protect your skin from the harmful UVA and UVB rays. It is not contain any parabens, alcohols or sulphate. It is a natural skin care body lotion that is safe for everyone. It comes with nice subtle smell that feels good after the application. 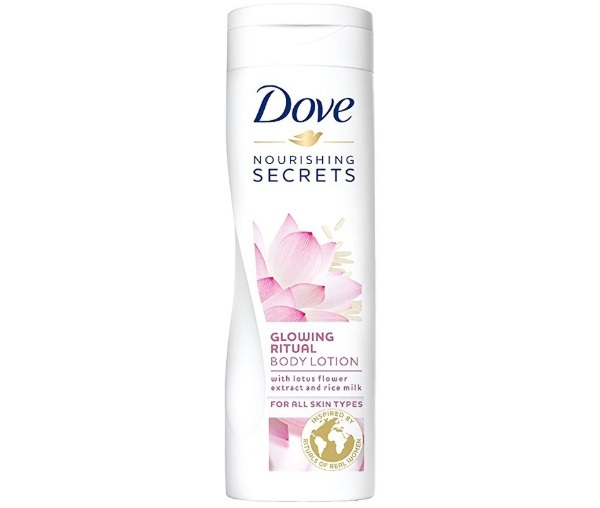 The glowing skin body lotion is one of the best moisturizers for skin. It consists of lotus flower extracts and rice milk that protect your skin from dryness and gives adequate moisture. Make the skin radiant looking and software. Lotus flower extracts and rice milk combination give smooth skin and enhances your dull and dark skin. 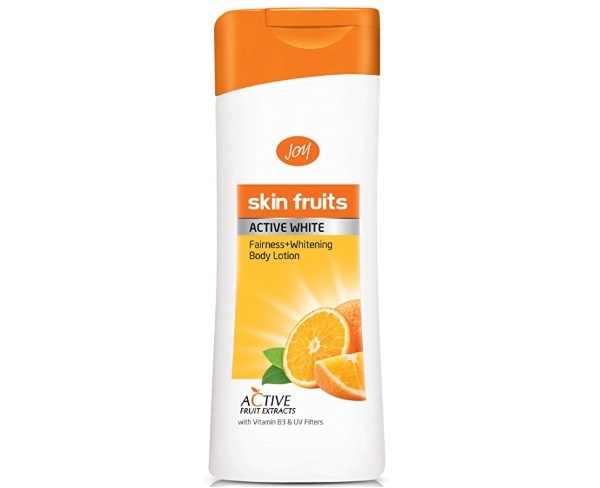 Joy fruits fairness body lotion is rich in fairness and whitening properties of oranges. It has very high amount of Vitamin C as it contains Orange extracts. It whitens your skin and lightens the texture by improving the dark spots and pigmentation. The body lotion also filters the UV rays. It can be applied twice in a day to get maximum results. This is also a suitable body lotion for men with fairness properties. 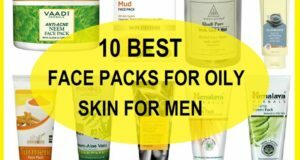 These are the best fairness body lotions for men available in Indian market. Have used any of these? 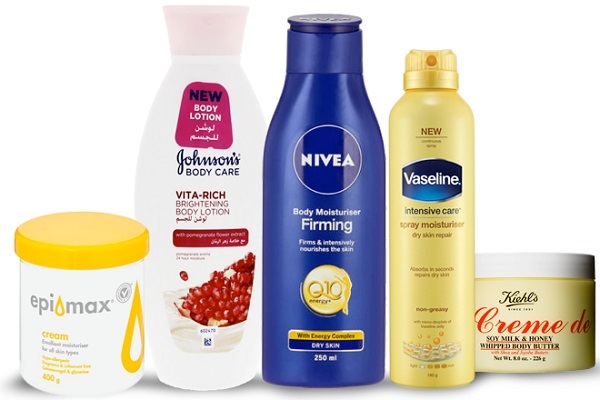 In our opinion Nivea cell repair whitening body lotion and Vaadi Herbals fairness moisturiser are the best amongst all the options given above for fairness body lotions.